Terpenes work with other cannabinoids such as CBD and THC, creating a union of compounds that achieve better results as a group than they would in isolation – an outcome known as “the entourage effect”. Used in high concentrations such as this, terpenes are an increasingly sought-after commodity due to their therapeutic value in dietary health and wellness supplements. When cannabis is utilised for its health-giving properties, it works best as a whole plant therapy featuring more than just isolated cannabinoids. The Cannabis Company differ from their peers in the burgeoning hemp market due to the work of their visionary CEO Dr. David Stapleton. A Senior Researcher at The University of Melbourne with a Ph.D. in Biochemistry and Molecular Biology, Dr. Stapleton has worked all over the world from Denmark to Canada and published over 100 scientific papers. 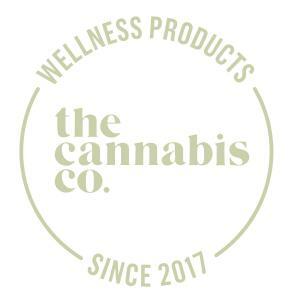 Forming the Cannabis Company in 2017 together with co-owners Cormac Sheehan and Richard Jameson, the team were committed to taking a scientific approach to “the Tree of Life”, as they refer to the plant for its exceptional qualities in relation to health, sustainability and recreation. 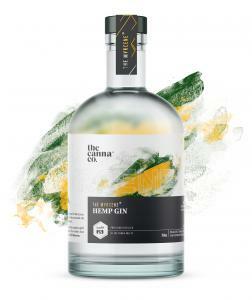 With an initial release of plant-based vegan hemp products for both the human and pet markets, experiments soon began with the distillation of spirits. Select elements from the hurd, bast and seed of the cannabis plant were used to produce the moulin and brou in spirit’s distillation, giving it a considerable hemp content and earthy woodland character. However, at this stage the spirit was still “just a gin” in terms of taste. Further research was carried out and a variety of terpenes were isolated and examined; extensive testing resulted in myrcene being selected as the backbone of the gin. Also found in hops, bay leaves and mangoes, Myrcene is known to compose up to 50% of the total terpene content found in individual strains of cannabis, with Myrcene strains reputed to produce joyful and euphoric effects alongside an overall feeling of relaxation. Myrcene is perhaps the most highly-valued terpene due to its ability to ease symptoms of chronic pain and inflammation. The breakthrough innovation came about after long hours spent delving into the history books. This uncovered some interesting commonalities between terpenes and spirits, strongly influenced by an early 17th century gin-making practice. 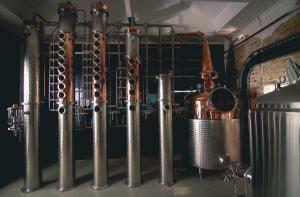 Whereas these early pioneers used primitive pot stills and added terpenes to mask the flavour of crudely-produced spirits, The Cannabis Company use column stills to craft a lighter and more refined gin, adding myrcene for its joyful sense of euphoria alongside its relaxation-inducing qualities. While the history of gin spans the globe, a final fascinating piece of the puzzle brings it all back home. Australia’s dark colonial past meant that quinine (the primary constituent of tonic water) was an essential medicine in former times. With 10% of hospital admissions in Darwin being due to malaria by 1899, quinine was widely employed as the only effective anti-malarial compound available. A common practice in tropical British colonies was to soften quinine’s bitter flavour by adding gin. Australia today has thankfully outgrown many of its more negative colonial echoes, but it still retains one old habit which has now gone global: taking the edge off the mozzies with a cool gin & tonic.